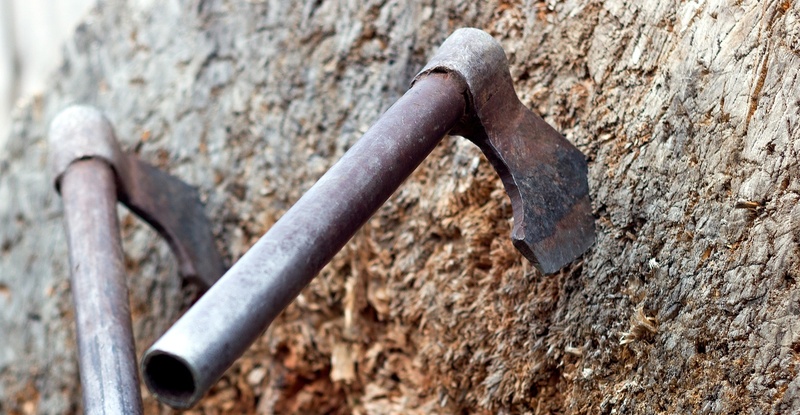 Try out the ancient art of axe throwing with this one-hour experience in Somerset. Fancy giving axe throwing a go? This one-hour lesson for two in Somerset is the perfect introduction to the sport. Bring a competitive friend along and learn to channel your inner Viking! The experience takes place at one of the region’s top outdoor activity centres, just outside Highbridge, Somerset. On arrival, you’ll be greeted by one of their experienced instructors, who’ll begin the lesson with a health and safety briefing. Next, they’ll introduce the three types of axe you’ll be using—the Norse axe, the Scout axe and the Mountain Man axe. Once they’ve demonstrated the various throwing techniques, it’s your turn! You’ll practice the basics first, while your instructor offers tips for improving. Then, when you’re throwing confidently, you’ll move on to a few target games designed to test your aim—as well as your competitive streak! When the session concludes, one of you will leave the winner. The question is—who will it be? This axe throwing experience for two in Somerset would make a fun experience gift for your other half, best mate or a competitive couple. Make them smile with an Experience Days voucher today! The Axe Throwing Experience For Two in Somerset is available on selected days of the week, throughout the year. You must be 12 or older to take part in the Axe Throwing Experience For 2 in Somerset. All participants under the age of 18 must be accompanied by a parent/guardian. This Axe Throwing Experience For Two in Somerset typically runs from 3:00pm - 4:00pm. Please be aware that this can vary depending on the size of the group. Participants: The Axe Throwing Experience For Two in Somerset is for 2 participants. Please dress comfortably and appropriately for the weather. The Axe Throwing Experience For Two in Somerset is an outdoor activity. If the weather is not suitable on the day of your experience, you can either reschedule for another day/time or have the option to choose another activity (this is always subject to availability).